Dogs Bite Decatur Al: HAMMOND LA - A NEIGHBOR'S PIT BULL "SUDDENLY AND WITHOUT PROVOCATION" CHARGED A CHILD WALKING WITH HIS GRANDMOTHER TO A PIZZA PARTY ACROSS THE STREET - THE GRANDMOTHER INTERVENED AND THE PIT TOOK HER FACE OFF!!! HAMMOND LA - A NEIGHBOR'S PIT BULL "SUDDENLY AND WITHOUT PROVOCATION" CHARGED A CHILD WALKING WITH HIS GRANDMOTHER TO A PIZZA PARTY ACROSS THE STREET - THE GRANDMOTHER INTERVENED AND THE PIT TOOK HER FACE OFF!!! "My family never imagined something like this happening on such a seemingly easy-going night. On the evening of September 9th, my aunt Tina and her baby grandson Briar were walking across the street to a pizza party at the neighbor's in Louisiana. A neighbor's unleashed dog suddenly and without provocation charged Briar, and Tina stepped in the way to protect Briar. The dog did not cease until another neighbor intervened. Briar luckily has only a few minor injuries, but my aunt's whole life has now changed. Her facial injuries will require many reconstructive surgeries. The doctor explained to me that basically her entire lower face, from the cheek bones down, has been peeled away. She has lost her entire bottom lip. She also has a severe 4x2 gape on her right upper arm which may require a skin graft. She has a broken hand bone. There are lacerations on her thumb, left arm, hand and several puncture wounds in nearly every finger. There is a long time due for healing, physically and mentally. Facial reconstruction will also be a long, winding road. She is very anxious and very traumatized. It is without a doubt that her face will never look the same. She is in Baton Rouge being treated. We just thank God she and Briar are alive. She has always been a fierce protector and we know if she could go back she still would have put herself in harm's way for her babe. For that, I think we can all relate. 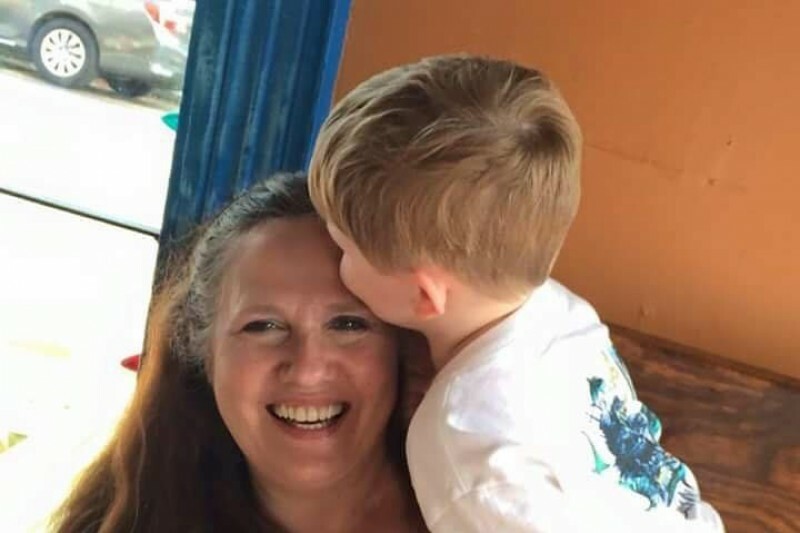 My aunt Tina is a strong woman who has held her head up high through a lot in life, but she will now need substantial financial support from hospital bills and household bills while she is recovering. She deserves all the love and care that we can give her. She has been one of my biggest cheerleaders for my travels and studies in Anthropology and History, as she herself is a lover of the world's cultures. It's time now to be her cheerleader. I am reaching out to the entire community of Facebook and GoFundMe to help alleviate the stress of finances. I simply cannot imagine the burden of money in a time like this, but I know it will come and I would like to bring a little light to all this. I hope you can join us in supporting her; if not financially, by prayer to whatever you believe in. Thank you." Was this in the news? I can't find it anywhere. I'm speechless! I can't imagine the recovery this amazing woman will have to endure. She's a hero and inspiration to us all. She can hold her head high that her grandson was saved because of her bravery. I hope she can get every bit of help she deserves! I wish I could do more than comment and give money. Read the first hand story in a recent comment on Animals 24/7. It's horrifying, especially in light of the fact these "responsible pit bull owners" are judgment proof, as usual.